"I went to law school with Daniel and have stayed in touch with him since then. I have repeatedly referred very close friends of mine to him over the years, and have always heard back positively about his professionalism, efficiency, and responsiveness. I'd refer others to him in a heartbeat, and if I was in a criminal defense jam, he'd be the first person I would call." "Daniel is a smart attorney. I have referred clients to his law firm. Those clients received great representation and results!" A northerner by birth, Mr. Betts found his love for Texas while attending law school at the University of Texas – Austin. While in law school, Mr. Betts focused his training on advocacy through moot court and mock trial competitions, winning tournaments and best advocate awards in the process. He served as editor-in-chief of the Texas Intellectual Property Law Journal and has been published in the Texas Review of Law and Politics on the topic of judicial campaign donations. Having formerly worked with the Travis County Attorney’s Office, Mr. Betts quickly found that his true passion lay in representing and defending citizens accused on the other side of the bar. Mr. Betts received his B.S. in Chemistry from University of Chicago, a major which might to some seem incongruous with a career in criminal defense, however, he has found it to be highly applicable in the defense of DWI’s, drug prosecutions, and with the increased prevalence of scientific evidence and expert testimony in all cases, his scientific perspective has proven invaluable to clients with cases of all varieties. As an active participant in the defense community, Mr. Betts is a member of the Austin Criminal Defense Lawyers’ Association and the Texas Criminal Defense Lawyers’ Association. In his spare time he enjoys cycling, ultimate frisbee, and molecular gastronomy. DWI BAC 0.213 – NOT GUILTY! 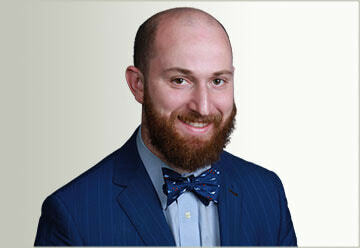 Home » Daniel W. Betts, Esq.